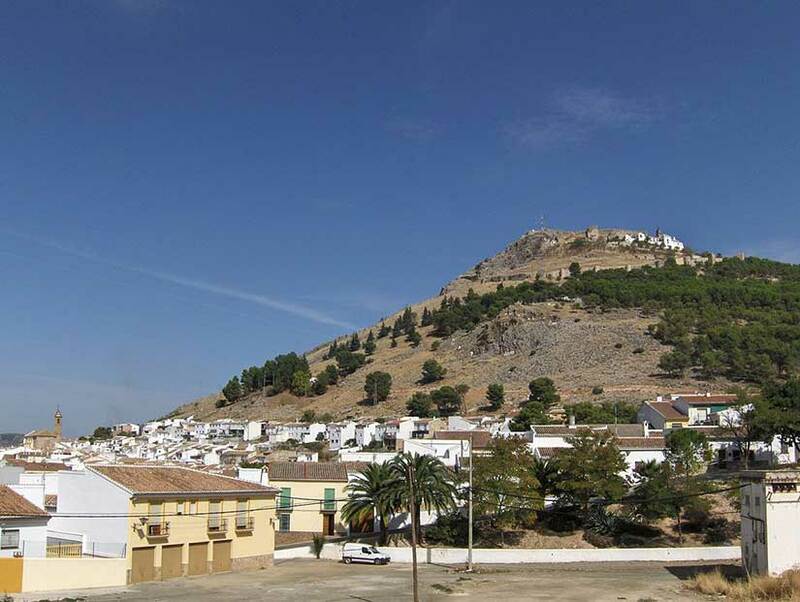 Archidona stands at the foot of the Pico del Conjuro mountain amidst olive groves and meadows, on the road that links Antequera with the province of Granada. It boasts a myriad of places and elements of natural and urban interest. Grande and Chica Lagoons and La Hoz de Arroyo Martin are examples of the former, while the pick of the latter is the Octagonal Square, a construction built in the Mudejar style and inspired by French urbanism. Other interesting monuments include Virgen de Gracia Sanctuary, built on the ruins of the old castle, the Nazarene Chapel and the old granary building. Archidona dates back to prehistoric times, as proven by important archaeological findings pertaining to the Palaeolithic period. The first major settlers in the area were the túrdulos. The Phoenicians began the construction of the village walls. The village was an important strategic location for the Carthaginians. They reinforced the walls and it was crucial in the war against the Romans. During the Roman era, it was known as Arx Domina, the Arabs modified this to Arxiduna, which is the origin of its present-day name. The Moslem occupation consisted of several stages. Following the proclamation of Abderraman I as emir of Cordoba in 756, Archidona, a dependency of the aforementioned city, became the capital of the cora (region) of Rayya (an area which, roughly speaking, coincided with the modern-day province of Malaga). It was in the thick of the muladi (Christian convert to Islam) rebellion of the late 9th and early 10th centuries, led by Ben Hafsun, who turned it into a fortified town. In 907, it was conquered again, this time by the emir Abd Allah. And, when Bobastro, a fortress at the centre of Omar Ben Hafsun’s rebellion, fell into the hands of Abderraman III in 928, it was the start of a period of great prosperity for the region, in which commerce, industry and agriculture blossomed. However, this period of splendour ended with the political and economic division which accompanied the era known as the Taifa Kingdom period; by the end of the 11th century, the village’s lands were abandoned and impoverished. In 1238 it became a dependency of the Nazari Kingdom of Granada, and Archidona experienced its second boom, this time due largely to the silk trade. Before long, however, a new turn of events shattered the commercial links of the whole region: the 14th century saw the start of the Christian campaigns in the area, which became a border zone, its territory suffering frequent pillaging. It was finally captured in 1462 by Don Pedro de Giron, Grand Master of Calatrava. Archidona’s present-day location dates back to the 16th century, when construction began on the are known as Villa Baja. The village’s long and eventful history, coupled with the desire of its inhabitants to preserve the artistic heritage born of the key role played by the village down the years, has resulted in Archidona being declared a Village of Historical and Artistic Importance.